Swansea City manager Carlos Carvalhal has urged Renato Sanches to consider a return to Benfica during this summer’s transfer window. The Portugal international struggled for game time during his maiden season with Bayern Munich last term and this witnessed him secure a season-long loan to Swansea City last summer to the surprise of many. However, the season did not go as planned for the Portuguese as he failed to contribute a goal or assist for the Premier League club and he spent the backend of the campaign on the sidelines with a hamstring problem. Speaking to reporters, Carvalhal admitted that Sanchez has not quite lived to his expectations during his Swans stay and he could better off returning to Benfica where he made a name for himself. Swansea were certainly found short after injuries to Sanchez, Leroy Fer and Wilfried Bony during the second half of the season and the Welsh outfit were eventually relegated in their penultimate game week of the campaign. 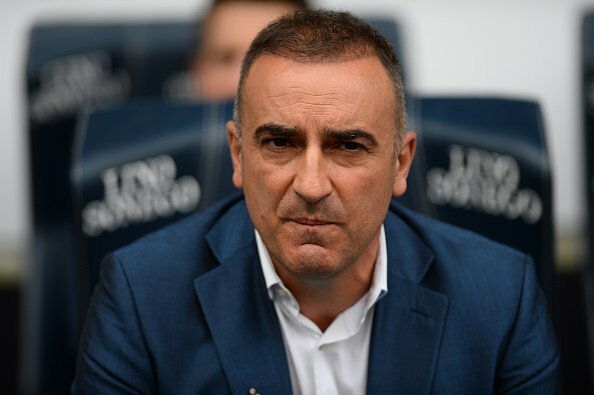 Carvalhal’s arrival did present plenty of promise for Swansea following the turn of the year but their poor exploits in front of goal ultimately cost them in the end. Swansea lost their last five league matches whilst finding the net on just one occasion.